My wood turning work has mainly consisted of staircase associated work and general architectural work (e.g. newel posts & spindles), but I’ve developed a passion for craft turning in varied forms over the last couple of years. 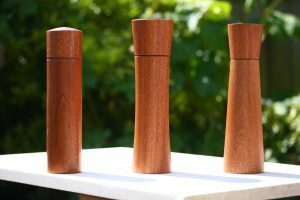 I want to pass on this knowledge and help others to develop their own wood turning skills. 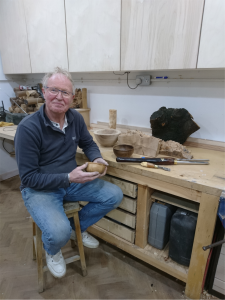 This is me in the workshop with a couple of recent small projects and some of bits of burr, horse chestnut and (in the back) ash that are awaiting inspiration. I am very happy to support all ages and levels of ability wherever I can. If you just want to try your hand at wood turning or have always fancied a go, I run a one day course in salt, pepper or spice mill making which takes you through all the stages from the start to finish – you’ll leave with a finished working mill. The course is suitable for a complete beginner or someone wishing to have a wood turning experience. If you’re more advanced, I’m happy to discuss your needs and adapt a workshop session/or a program to suit you. You can see some of the recent sessions in the courses tailored to your needs page, but feel contact me with questions. If you are a complete beginner and wishing to pursue wood turning a hobby, why not come round for a taster session to try your hand before committing to invest in equipment. I am also happy very happy to support you with ongoing tuition and advice. 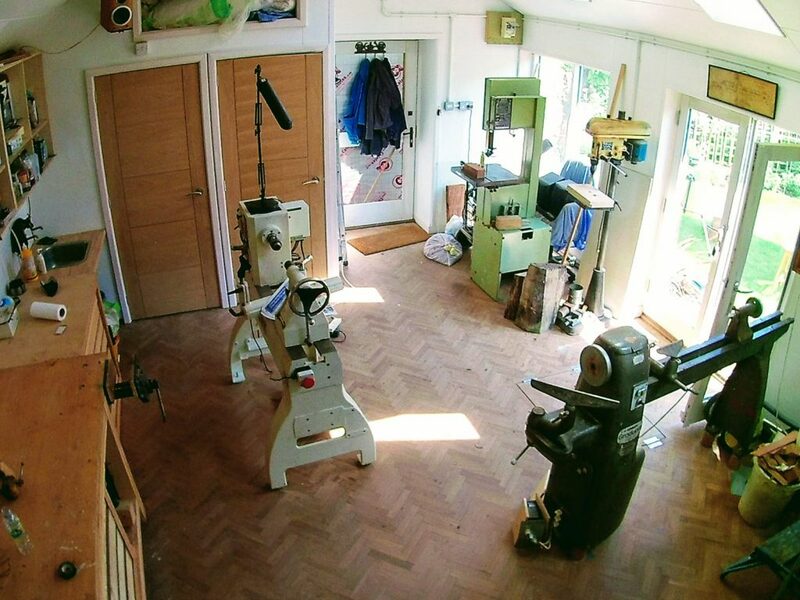 I have a purpose built workshop fully equipped with two well-equipped professional lathes, a range of sharpening equipment, health & safety equipment and I have the capacity to work from log to bowl (there’s a wood burner in case it gets cold).